For now, the WKA scheme remains just that—Prosper Portland began project solicitation earlier this month via an RFP, which is due January 19, 2018. After three years of nearly round-the-clock construction, AC Martin’s Wilshire Grand Center in Downtown Los Angeles has finally opened to the public. 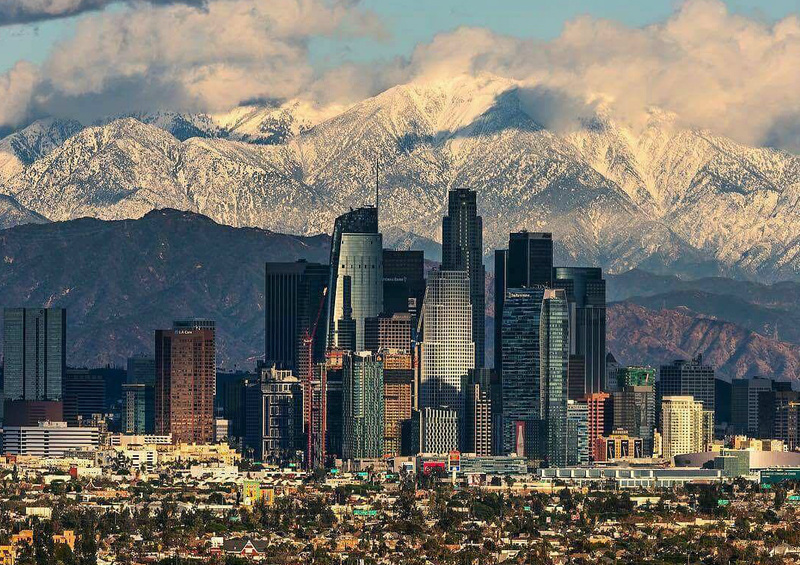 LA's new tallest skyscraper (73-floors) officially opens today. The 73-story building celebrated its grand opening on Friday in a pomp-filled ceremony that included a performance by the University of Southern California marching band. Representatives from AC Martin and L.A.’s political and business establishment were on hand as well to inaugurate the tallest building west of the Mississippi River. The 1,100-foot-tall tower contains a mix of uses, including a 900-key InterContinental Hotel, 265,141 square feet of Class A office space, and 45,100 square feet of restaurant and commercial spaces. The tower also features L.A.’s first “sky lobby,” which will provide some of the highest views in the city. The uppermost levels of the tower will be home to a steakhouse and several bars, including Spire 73, which according to Eater, is now the highest open-air bar in the country. The sail-shaped, pinnacle-capped tower is the first new skyscraper constructed in the city without a flat roof. Until recently, fire regulations required that tall buildings provide helicopter landing pads on their rooftops to help evacuate occupants in the event of a fire or earthquake. The helipads were seldom used and, as a result, the regulation was changed last year to allow the city to develop a more dramatic skyline. Instead of offering a helipad, the Wilshire Grand is outfitted with a more extensive fire suppression and warning system than would normally be the case. The early detection system includes networked voice and visual communications capabilities that allow building operators and firefighters to communicate with every floor of the structure, according to KPCC. Now that the building is complete, all eyes are pointed toward San Francisco’s Salesforce Tower, designed by Pelli Clarke Pelli Architects. When completed, that tower will be the second tallest in the West, rising just 30 feet shy of the Wilshire Grand at 1,070 feet in height. 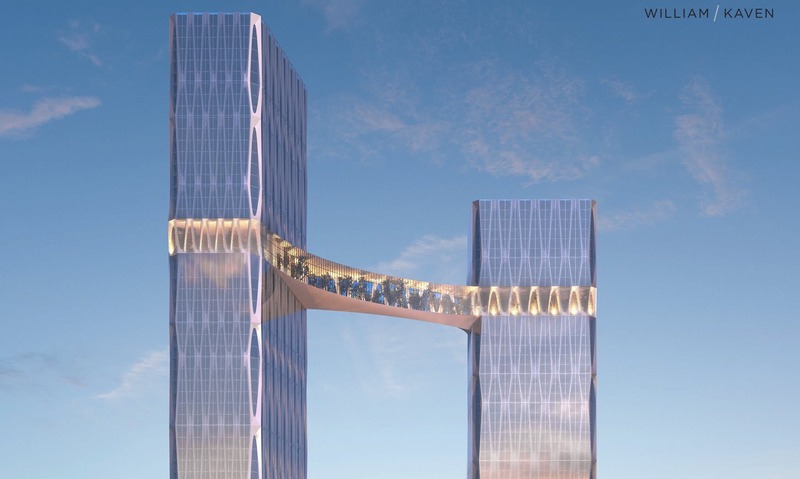 The tower is expected to finish construction in 2018. 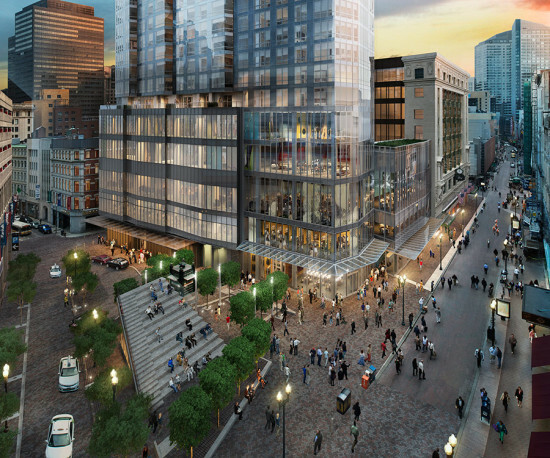 Did Boston’s Millennium Tower Break a “Record” With Its 36-Hour Concrete Pour? After a continuous 36-hour concrete pour last weekend, Boston’s Millennium Tower is ready to rise above the city skyline. The day-and-a-half-long pour of 6,000 cubic yards for the Handel Architects–designed project is being called a “record concrete pour” by local press—and it probably is, at least in terms of hours spent pouring. But if you crunch the numbers, as AN did, the pour in Beantown reveals that the tower’s concrete took its sweet, sweet time to flow. We’ll explain. 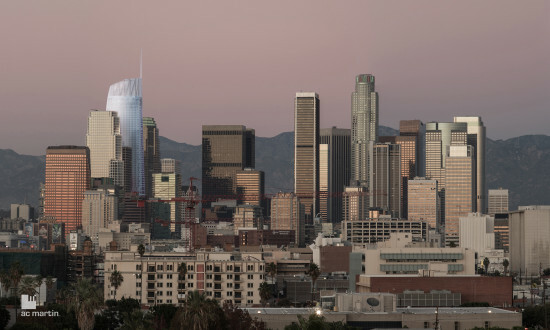 In February, a pour for the Wilshire Grand tower in Los Angeles set three times as much concrete—21,200 cubic yards—in just 18 hours. That’s twice the velocity of the Millennium Tower flow—or in Boston parlance, that’s wicked fast! And that pour was quite literally a record breaker, it won the Guinness World Record for "largest continuous concrete pour." Hour-by-hour, the Wilshire Grand beat the Millennium Tower with 1,178 cubic yards of concrete poured to just 166. The slow pour is not entirely surprising for the project, which has been pretty slow moving in its own right since the start. When the project is finally complete in 2016, it will be 625-feet tall, making it the tallest residential tower in the city.